The Incas: Cuzco, Machu Picchu & Pre-Incas: Etching of Cusco's main square, Plaza de Armas, Plaza Mayor. 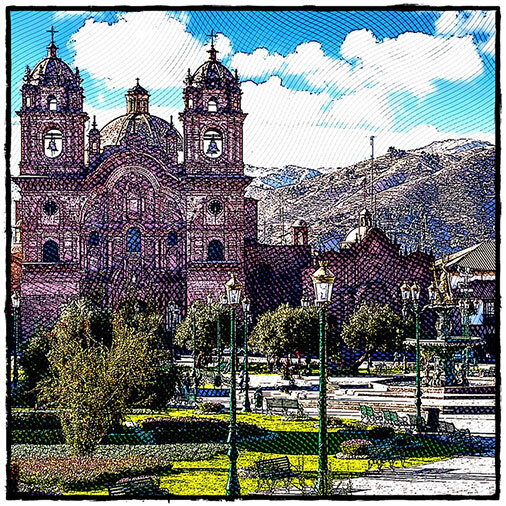 Etching of Cusco's main square, Plaza de Armas, Plaza Mayor. Click the figure below to enlarge it.